Bangladeshi Prime Minister, Sheikh Hasina, has been named as one of the world’s 100 leading global thinkers by Washington-based prestigious magazine of global politics, economics and ideas, Foreign Policy. 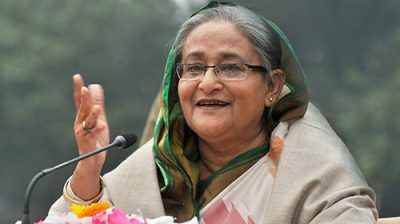 Bangladesh’s Ministry of Foreign Affairs made the annoucement on Wednesday, stating that Hasina is among the 13 top global thinkers in the category ‘Decision Makers‘. They said she has been named as a leading global thinker for her outstanding contribution in addressing the issue of climate change. German Chancellor Angela Merkel, Russian President Vladimir Putin and President of Mauritius Ameenah Gurib are the other Heads of State / Government who have been named along with the Prime Minister of Bangladesh as leading global thinkers in this category this year. Every year, Foreign Policy magazine recognizes the world’s preeminent thought leaders in its annual issue, ‘100 Leading Global Thinkers’. The list, started in 2009, has become one of Foreign Policy?’?s most-read features. 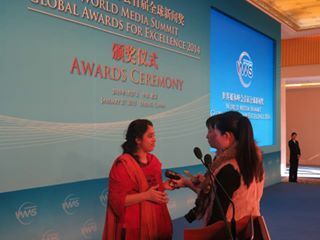 Honorees include a wide range of leaders, advocates, innovators, artists, government officials and visionaries from around the world. The editors of Foreign Policy select the 100 Global Thinkers based on their standout contributions over the past year and their ability to translate ideas into action that change and shape the world. In the past, US President Barack Obama, Indian Prime Minister Narendra Modi, Iranian President Hassan Rouhani, Mayanmar Leader Aung San Suu Kyi and former US President Bill Cliton were among the global leaders placed in this esteemed list.